Rhino Ducting clips Jubilee style clamps for connecting ducting to filters and ventilation systems. High quality and Rhino branded an ideal cross sell with every Rhino Pro filter. Clamps are supplied in packs of two. 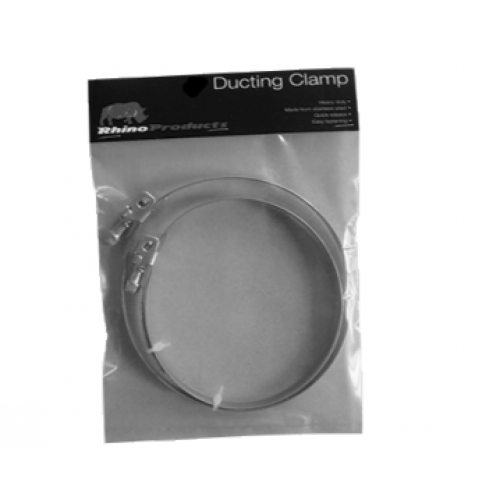 Please note that Rhino clamps are supplied with ALL Rhino Ventilation Kits. Advanced Star Inline Eco Duct Fan Advanced Star Eco Duct Fan is carefully designed to enhance a.. Features:Vents TT fans are available in:100 mm Diameter125 mm Diameter150 mm Diameter200 mm Dia..